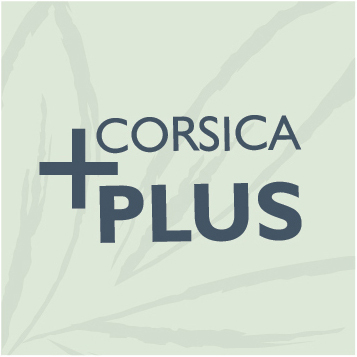 A comfortable hotel enjoying a great location at the heart of Porto Vecchio in Corsica’s beautiful L'Extrême Sud region. 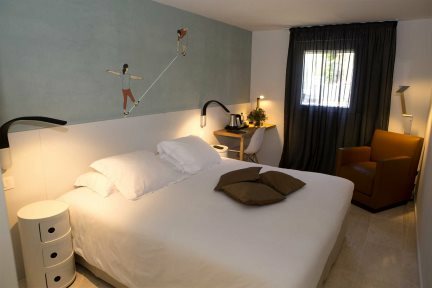 Comfort and convenience in the centre of one of Corsica’s most rewarding and enchanting destinations, the three-star Hôtel Alcyon enjoys a great position in the upper section of town, in front of the citadel and just a short walk from numerous shops and eateries. 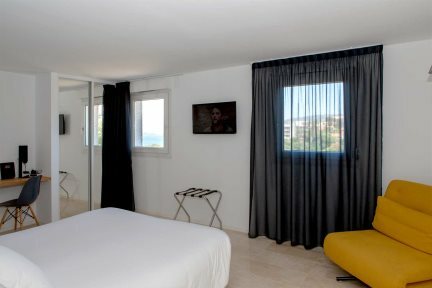 The hotel is home to 34 guest rooms, all enjoying simple furnishings and a contemporary design, as well as modern facilities such as a flat-screen tv, Wi-Fi and air-conditioning. Spread across Superieure and Deluxe rooms, some coming with a balcony, all the rooms sleep up to two guests and are spread across six floors, accessible by lift. One of the hotel’s most alluring features is its inviting and atmospheric rooftop bar, serving up cocktails and snacks, all enjoyed while admiring the beautiful views of the bay of Porto Vecchio. The location is also a real bonus, presenting the best of Porto Vecchio right on your doorstep, while also keeping you within easy reach of some of the island’s finest beaches. Rooftop bar and terrace serving cocktails and local snacks, breakfast room, parking garage (subject to availability & payable locally). En-suite with shower or bath and wc, LCD television with canal+ and satellite channels, telephone, safe, 24hr reception, Wi-Fi, air-conditioning. With contemporary furniture, double bed (160-180), Twin beds on request. Shower or bath (request if there is a preference but not guaranteed). Two of these rooms have facilities for reduced mobility. With contemporary furniture, double bed (160-180), Twin beds on request. Shower or bath (request if there is a preference but not guaranteed), balcony with sea views. With the same facilities these rooms are more spacious than the Superieure, and have two windows. 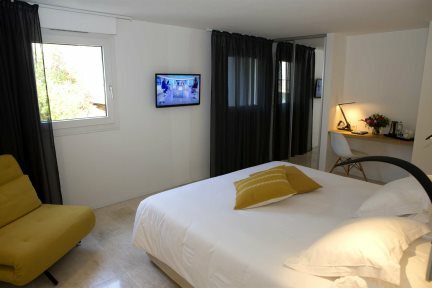 With the same facilities these rooms are more spacious than the Superieure, and have two windows. A couple of these rooms have balconies.